Is digital marketing giving you ROI? 94% of B2C marketers in Africa used Facebook for marketing in 2014. Out of the businesses operating online, only 23% track their ROI successfully. Kenya has approximately 26 million internet users (CAK) with 89% of them connecting to the internet to access social media sites on a regular basis. From a population of approximately 45 million, that means with your business online, it has the potential to reach half the country. How do you measure the value of your online marketing? 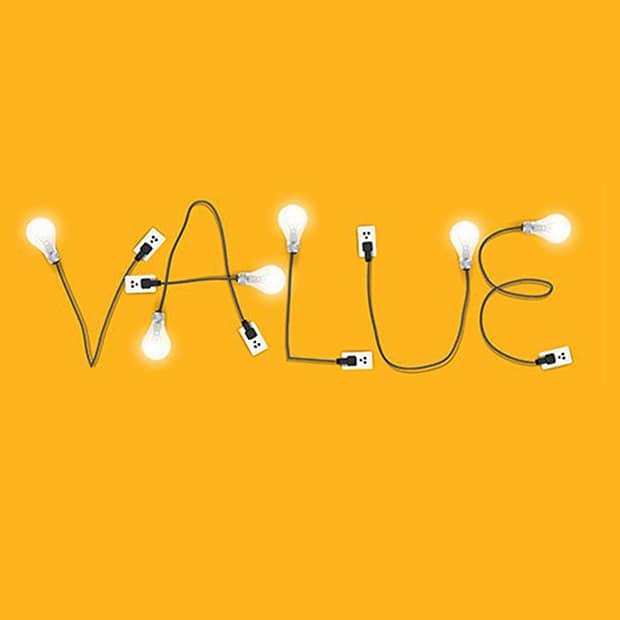 To measure the value of your online marketing, two variables come into play; the cost of an investment and the return of the investment in relation to the invested cost. The metric used to measure online marketing value is known as Return of Investment (ROI). The return on the investment should essentially be more than the cost of investment. ROI can measured internally as well as in relation to other market players. One method applied across the board is Activity Based Costing (ABC) which accounts for both direct and indirect expenditures. What do you intend to achieve with your online marketing? You need to define the objective of the marketing campaign with conversion goals that can be tracked. Your objectives need to have a monetary value attached to them. For each goal you need to have the amount you intend to invest. Your brand’s goals drive specific actions in any given campaign. Depending the size of your business, you will have different objectives to communicate with consumers at varying levels of interaction with your brand. Some companies want to build brand awareness and visibility, others want to grow their brand sentiment and strengthen their image while other companies want to increase consumer involvement with the brand or build relationships with influencers. Your marketing goal is dependent on the audience you’re targeting. The audience will determine the best social media platform to conduct your marketing. Insights from sources such as Google Analytics will provide statistics on the most popular platform and its effectiveness among different audiences. As a brand, you need to understand the point at which your consumer is. Study your consumer and understand their needs, wants and preferences. This will help you as a business to package your communication in respect the it’s relevance to the consumer. Once you start your marketing you need to track the progress of your marketing content. Your objectives can be tracked using online tracking tools such as Google Analytics, Webtrends and Omniture. These tools are able to track the reach of your marketing content, the engagement and traffic. You however, cannot track, measure and tie a shilling every aspect of online marketing campaigns. The goal of the campaign plays a significant role in determining tracking and measuring the ROI. Some brand-level activities like the strength of your brand are not easy to measure but play a vital role in the conversion of consumers. Evaluating the data you get is the last part of ROI. The data you receive from your online marketing will be very significant in calculating your ROI. The ROI of different marketing campaigns vary depending on the product, service and platform it is marketed. Snack Attack Kenya needed to increase traffic to its Adams Arcade branch. We proposed Mad May Mondays, a campaign where customers would get a free burger for every burger they bought on Mondays. The campaign ran on Facebook. We developed creative content that communicated the message in a fun way. The copy and visuals were very precise and the target audience could easily digest the information. We would post the content on Sunday to Monday evening for the last 3 Mondays in May. The target audience was between 13-45 years old with interests in fast food casual dining, hamburgers, french fries and food delivery. Through target marketing, we were able to boost content to reach this specific audience. Over the 30 day period, Snack Attack had a 16.5% increase on sales on delivery and an average of 5,884 daily impressions. From the amount invested in the campaign, Snack Attack realized at 571% gain relative to the investment in the campaign. Your business can also get you ROI. Let’s talk.